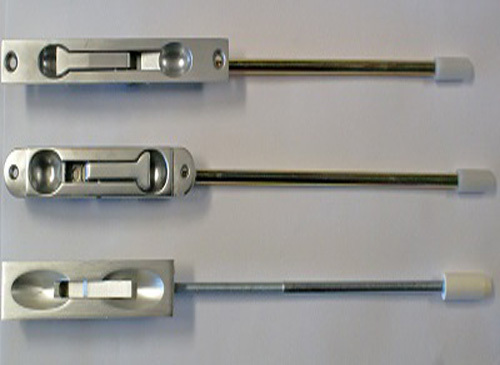 Flush Bolts are mounted in a door to lock a door in place. These bolts slide up into the jamb above the door and down into the threshold or floor below the door. They are primarily used on double doors where one door is locked in place and the other door is the one mainly used.